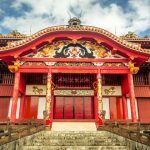 Home to more than 300,000 people, Naha - the capital and largest city of Okinawa - is one of the most popular spots when in Japan. 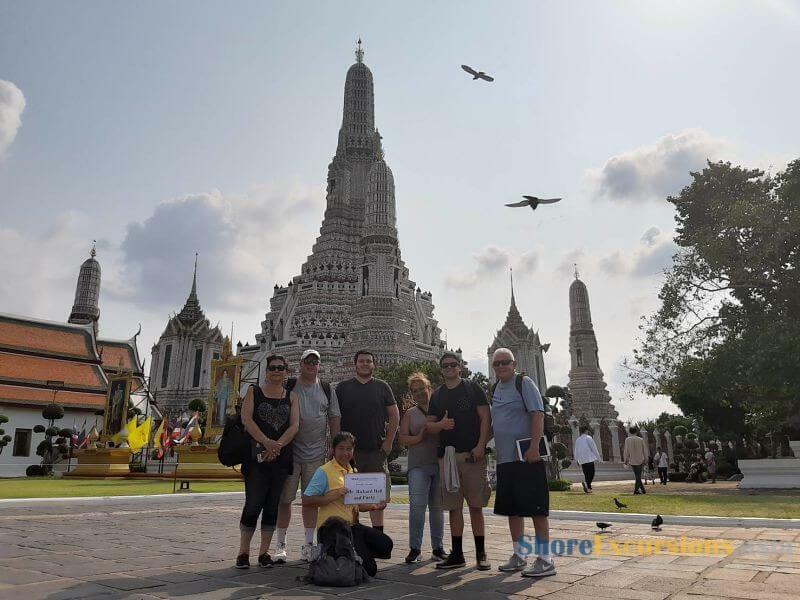 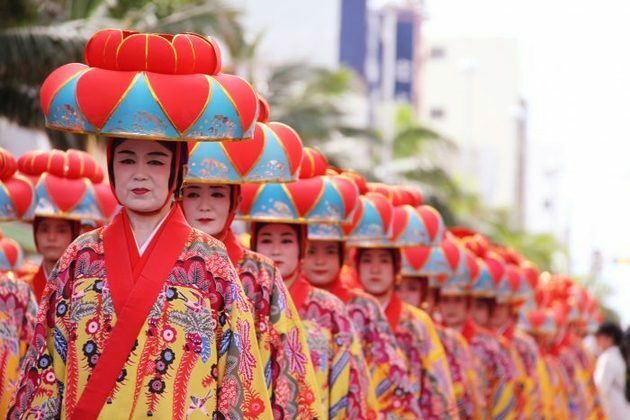 Come to Naha shore excursions, you can admire not only one but two Historical World Heritages, discover the royal style by visiting Tamaudun Museum, simply walk along traditional Kinjo-cho Stone Path and Tsuboya pottery street or be fascinated by the antique garden named Shikinaen. 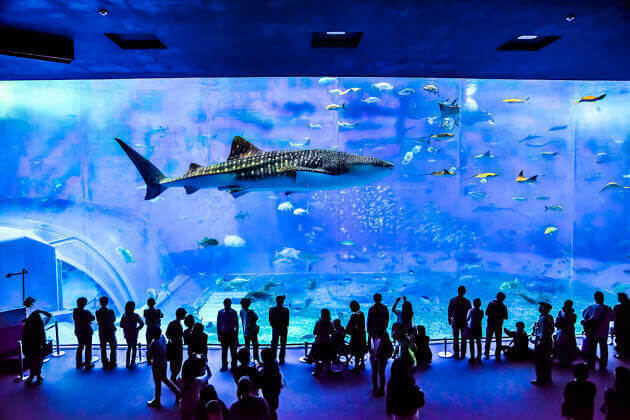 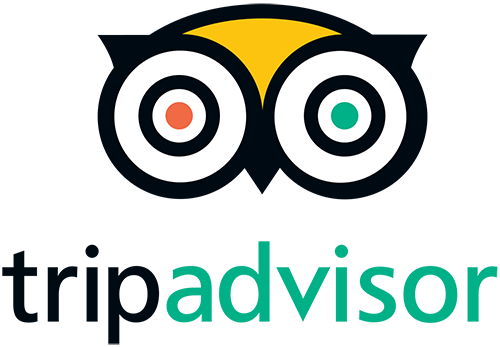 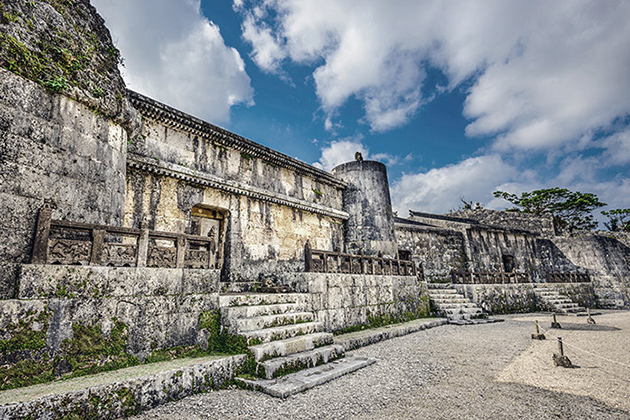 Your Okinawa day trip starts with a pickup from Naha port by local professional driver and guide who’ll take you to one of the UNESCO World Heritages – the Shuri Castle or Shurijo in Japanese – served as the administrative center and residence of the Ryukyu kings for several centuries. 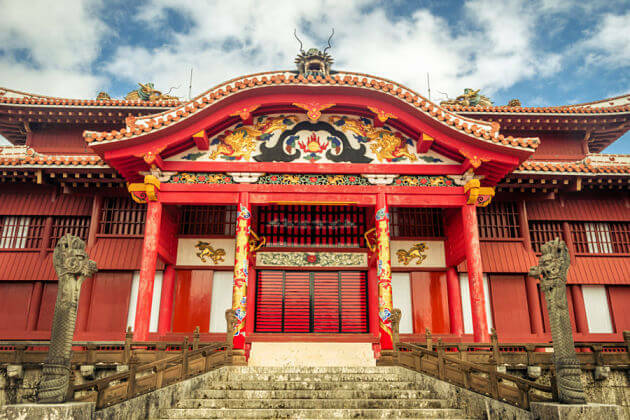 In spite of being destroyed by wars and fires multiple times over the centuries, the current buildings are beautiful reconstructions with multiple gates, including the well-known Shureimon Gate and the beautiful views of Naha which can be seen from the top. 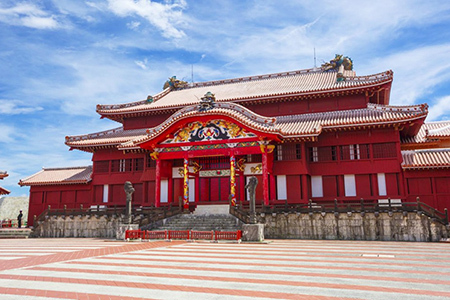 One surprising truth is that there is another World Heritage inside World Heritage – Shuri Castle, the Tamaudun Museum, also is the next spot on your Naha trip. 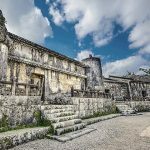 Follows the Okinawan burial tradition of constructing large stone tombs, but was built in a particularly grand style to exalt the royal family, the museum surely makes you impress with its specific ancient space. 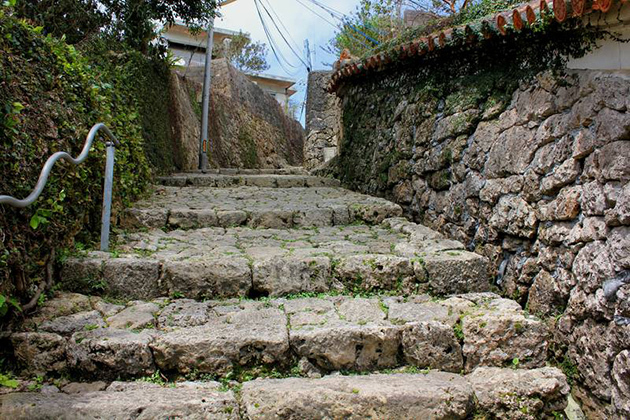 After a flavorful lunch, you can take just 10 minutes to walk along the whole path downhill from Shuri Castle, now you set a foot on Kinjo-cho Stone Pavement listed as one of the 100 traditional paths in Japan. 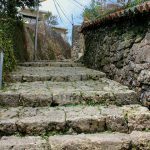 This scenic path retains the atmosphere of the old Ryukyu dynasty that can bring an old-age breath when walking down as far as the turnoff for the 300-year-old Akagi Tree. 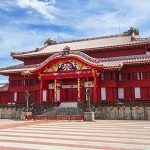 Then, transfer to Shikinaen Garden, the second residence of the Ryukyu kings, built to entertain Royal Guests. 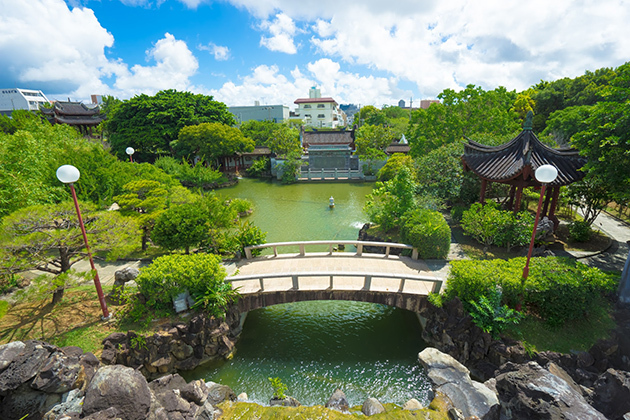 The Garden is the combination of a style seen elsewhere in Japan and a uniquely Okinawan flavor architecture and flora with beautiful, relatively simple, wooden palace buildings with Okinawan style, typical by the red tile roofs, and a capacious Japanese garden included a pond in the middle. 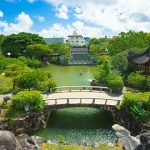 After visiting a good selection of the places, relax by taking a scenic stroll along the center of Okinawa International Street for free shopping time. 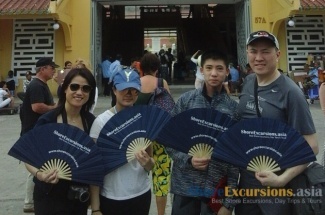 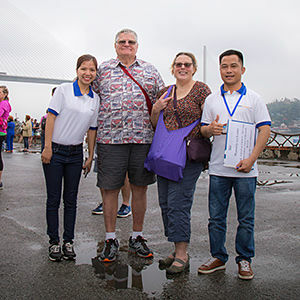 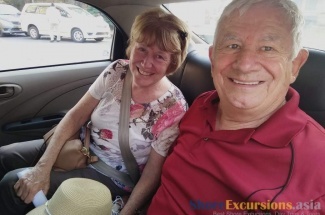 The trip finishes when the driver drops you off at the Naha port to continue your cruise departure.